The Elegant Beautifully Baroque Stamp! I am loving the Beautifully Baroque Stamp Set and matching Beautifully Baroque Embossing Folder! I feel like the Elegant Eggplant color screams elegance! Is that just me? 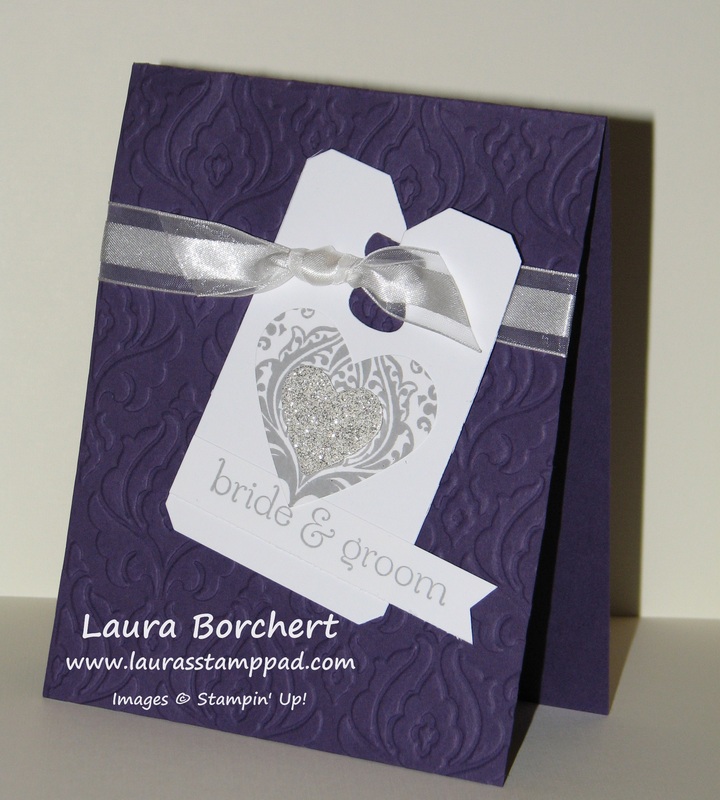 I embossed my card front with the folder and then created the tag with the Chalk Talk Framelits! I stamped the Beautifully Baroque image in Smoky Slate on a scrap piece of cardstock and then punched it out with the Heart Punch. I layered a Silver Glimmer Paper punched heart on top of it. LOVE IT! The greeting is from the Sweet Essentials Stamp Set! I encourage you to try out a stamp set and find ways to make many different styles of cards with it! It is fun and sometimes challenging! Here and Here are some other samples using the Beautifully Baroque Stamp! « Loving What I Do, Sharing What I Love!! !